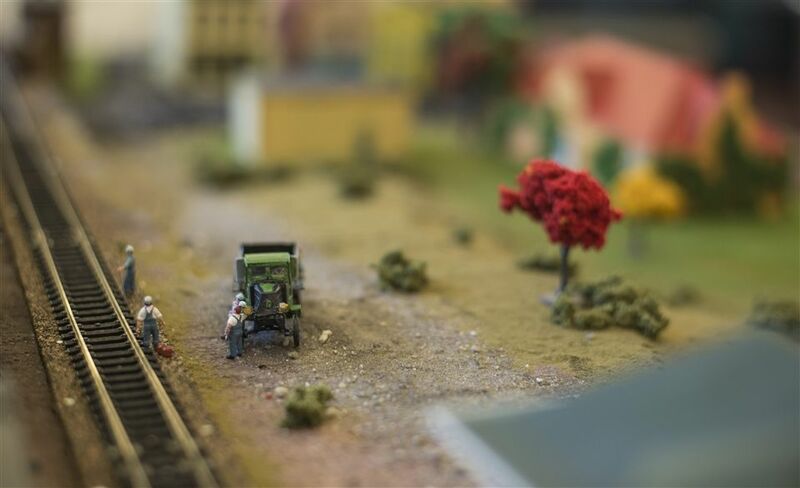 Hunter Congdon’s senior project of a scale model of downtown Milford as it looked in the year 1930, constructed with modelling materials he inherited from his grandfather. Phil Ross ‘17 and Sophia Cronin ‘17 having a heated discussion over values, beliefs, and perceptions of the world. For her senior project, Cronin asked 25 people of all ages thought-provoking questions about their lives. All of the Hopkins community eagerly awaited 3:00 p.m. on Friday, May 19. Students and faculty gathered in Upper Heath on the warm day to view a room full of cool knowledge. 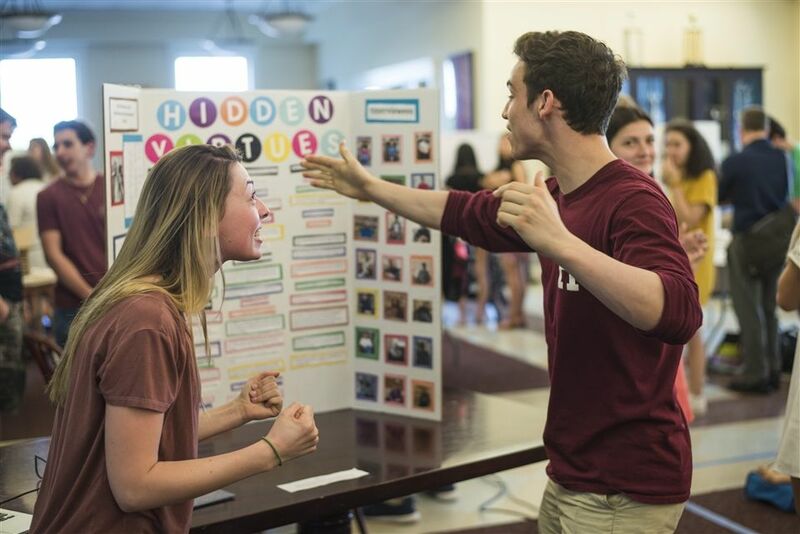 Each year, the Senior Project Fair displays a range of the Senior Class’s interests, creativity, and hard work. This year, thirty-seven spectacular projects were presented by forty-seven seniors. In order to do a Senior Project, students must first write a proposal that then needs to be approved by the Committee. Once passed, seniors must find a faculty advisor who can oversee their work progress. “The number of project advisers is our biggest limitation” said Ian Melchinger. “When there are over forty seniors wanting to do projects, advisors are in high demand, and with forty-five to fifty students each year wanting to do this research, advisors are quite difficult to find. “When doing a senior project, students realize that when you do your best, you will still fall over, and you have to learn how to deal with these setbacks,” says Melchinger. Yet, doing a project also allows students to apply their acquired abilities to a new concept. “It was certainly not easy, but I came away from it knowing the importance of showing your writing to other people and getting it out of your head, how it feels to have your writing workshopped, and what I can put together in a certain amount of time. These skills will serve me well in college and in my future endeavors,” said Halvorsen. At the end, Turner had designed and created a model structure “loosely based in Ayn Rand’s The Fountainhead.” In addition, his two essays answered questions proposed throughout the architectural design process.